Rescuers were paged by UK Coastguard on Sunday (May 8) evening to reports of two youths in difficulties in the water. The pair – aged between 14 and 16 – had been spotted clinging to a piece of wood in Fareham Creek, behind Fleetlands, by a security guard. Gosport & Fareham Inshore Rescue Service was launched at 9.30pm and rushed to the scene through Portsmouth Harbour. 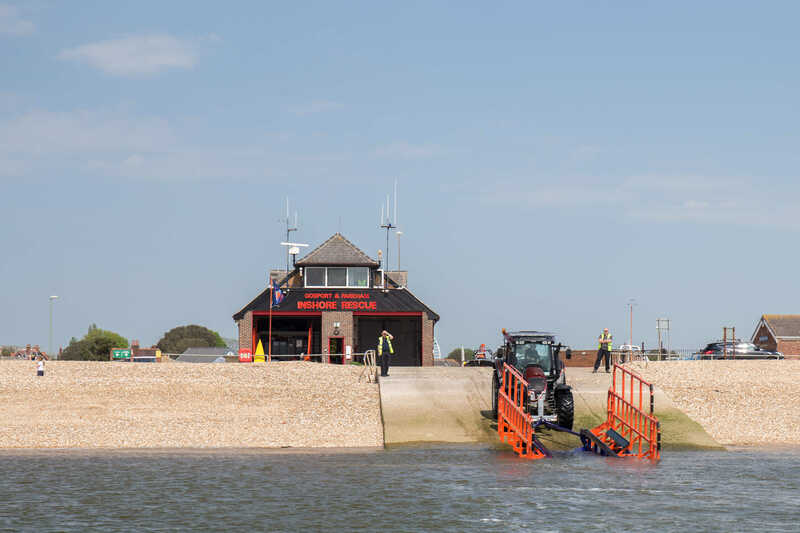 GAFIRS worked alongside Coastguard mobile teams from Hill Head and Portsmouth to carry out an extensive search of the area, which included the pontoons and shoreline. The boat owner said he knew the identities of the two youths and this was passed on to UK Coastguard so they could investigate further. Gosport lifeboat was stood down at 10.30pm.